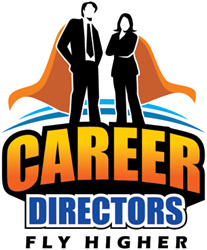 Career Directors International (CDI) is excited to be among industry leaders such as Forbes, Wall Street Journal, Seth Godin, Ted.com, and Harvard Business Review as a top industry read for business and leadership coaching, training, and management. It’s such an honor to be selected as a leading business and coaching resource along with entities including Forbes, Wall Street Journal, Seth Godin, Harvard Business Review, and Ted.com! Recently the Pennsylvania Conference for Women posted a list called the Best Reads for Staying on Top of Every Industry. Career Directors International(CDI), a membership-based organization that helps resume writers and career coaches build six-figure-plus businesses, was honored to be selected last week as one of their 21 picks for Business and Leadership Coaching, Training, and Management. CDI attributes their selection to two elements. The first is their comprehensive job seeker blog which provides such outstanding guidance from their expert guest bloggers on a myriad of career and employment topics. The second is the quality of coaching and business training they provide their members, such as the upcoming Entrepreneurial Success Secrets Live for resume writers and career pros. Anthony Robbins, BizJournals.com/bizwomen, BusinessToday-eg.com, CareerDirectors.com, Careerealism.com, Forbes, Gallup.com, Google alerts, Harvard Business Review, Huffington Post, IIBA.org, John Maxwell blog, Knowledge@Wharton newsletter, LinkedIn, New York Times, SBA.gov, Seth Godin, SmartBriefs.com, TED.com, Time Magazine, and Wall Street Journal.